WhatsApp is the most used instant messaging and calling app. This app is used by everyone using any android, iOS, or other smartphone all across the world. Now this app is used with the help of your number but for some reason you don’t want to put your phone number in it and if you are looking for a way to use without it, you are just at the right spot to learn. 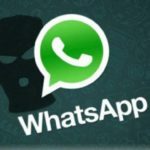 Also, since we are going to do it without phone number, this means that is doing it without verification code and ultimately we are going to hack WhatsApp without verification code. There are 3 methods of doing this thing and in this guide, you are going to learn all of them. So, let us begin now without wasting anymore of your time. Recommended: Learn to Hack Whatsapp account without target phone access. This method is the simplest and that is why I put it on number one so you can get this thing done as quick as possible. Let us now explore this method. The tool you are going to use in this method is called Textnow App. Download and install this app from the internet or simply from here. Once you have download and install the app, launch it and you will get a number from the app. Now open WhatsApp and instead of putting your sim card number, put this one. Now on the verification step, fail the sms verification method and do the call method. Now you will get a call from Textnow app’s hub and it will tell you a verification code. 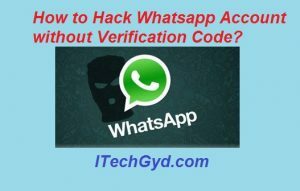 Now put this verification code and start using WhatsApp without a sim or verification code. So, this was method one to do it. Let us now move to method two. This method is the second simplest one of doing this. Let us tell you that now. This method is done with the help of a fake messenger which is different both android and iPhone device. For iPhone download this one here and for the androids, download this one. Once you have got these apps either on your iPhone or android smartphone, launch them and ask for a fake WhatsApp verification code. Once you have got the code then do the sms verification and get your WhatsApp started. Let us now move on to the 3rd method of this guide. Well. 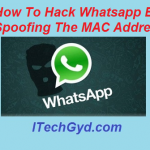 this is even simplest of hacking whatsApp without verification code. I am not going to do a step-by-step here since it contains a simple tip. If you don’t to activate the app with your mobile number then use a landline number which you have at your home and this is it, you can verify your app and start doing texting and calls with the help of it. In this case, only call verification can be done and once you have added the number, you will receive a call on your landline. Learn to Hack Whatsapp using pc. So, did you like this guide and was it helpful? Don’t forget to tell us that by leaving your feedback in the comments section. Keep visiting our website for more free hacks and guides. 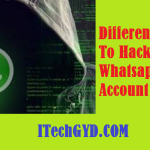 https://itechgyd.com/wp-content/uploads/2017/04/How-to-Hack-Whatsapp-Account-without-Verification-Code.jpg 336 527 Faizan Gul https://itechgyd.com/wp-content/uploads/2019/01/itechgyd-logo.png Faizan Gul2017-04-03 18:11:322017-04-09 11:08:28How to Hack Whatsapp Account without Verification Code?